My sewing machine and iron are getting a mini-break so I can write this post. I’ve been sewing at all hours of the day… on all kinds of projects. I’m in one of those moods where I don’t want to work on one thing for very long. So I end up doing a little bit on a dozen different projects. I’m not in love with it. It’s a completed project (yay) that was done in time to enter into this contest (yay) but it isn’t anything special. I played with pinked edges and batik scraps but kind of shrugged and wondered where to put this thing when I finished. I think it’ll be donated as a doll quilt. There are lots of prizes with this contest. First, there’s a vote. Whichever project is the favorite wins first prize. After that, there are random drawings. Guess what?!?!?! I won one of those prizes! I’m that upside-down name under number 5. What did I win? Money towards long-arm quilting. Ho boy am I excited! It’s lucky to win, but impossible to win if you don’t enter in the first place. Not everything you do has to be spectacular but it’s good practice to just keep making stuff. Make, make, make! This entry was posted in Art, Artist's Studio and tagged award, batiks, challenge, contest, doll quilt, iron, long-arm, make, mini-break, one week challenge, persimon dreams, pinked edges, pip, practice, prize, project quilting, quilt, quilting, quilts, sewing machine, stretch, string, string quilts, strings, surprise, yay on January 19, 2014 by quiltartbymegan. Yes, we must keep making! I’m trying to remember that and get into my studio more often. Congrats on your prize! Congrats on winning! And most importantly making a project and completing it. 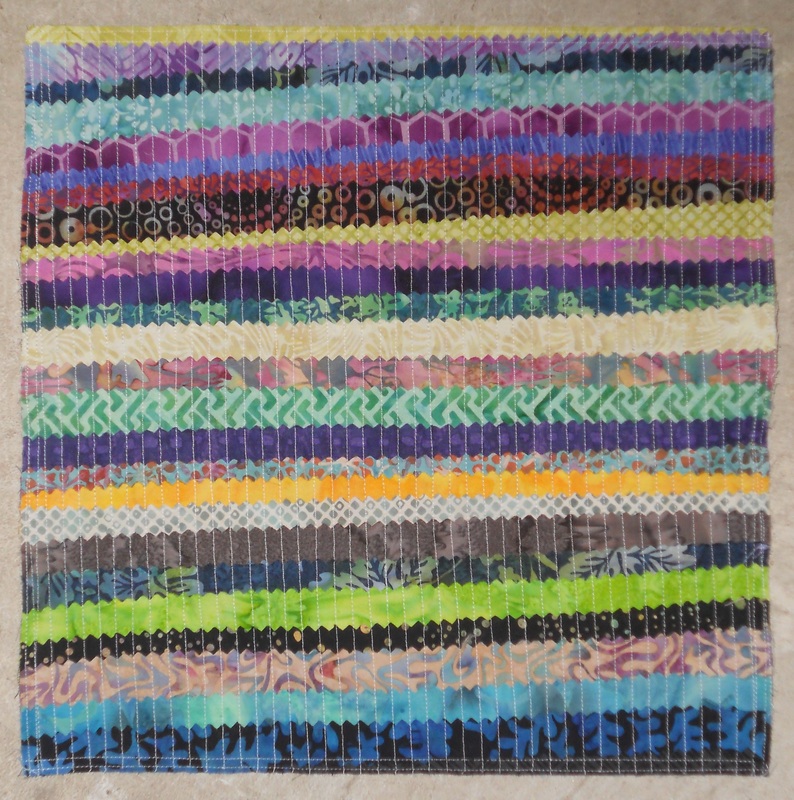 Project Quilting inspires all of us to create! I am soooo proud of you! And your win is made extra special by the fact that Miss Pip drew you!